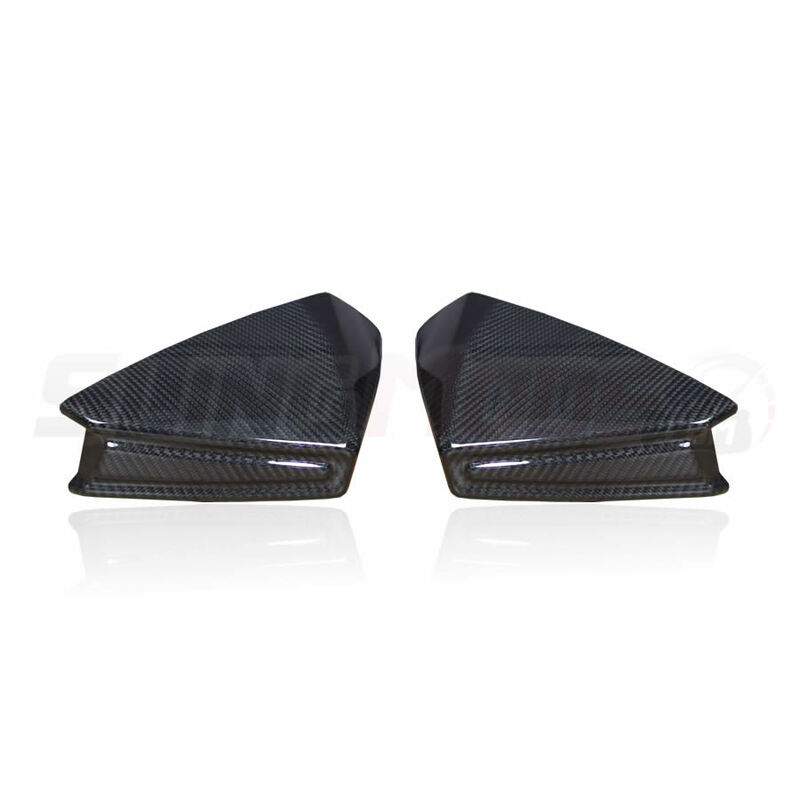 Encapsulate the side view mirrors of the Slingshot in decadent carbon fiber with the “TricLine Carbon Fiber Side View Mirror Covers”. 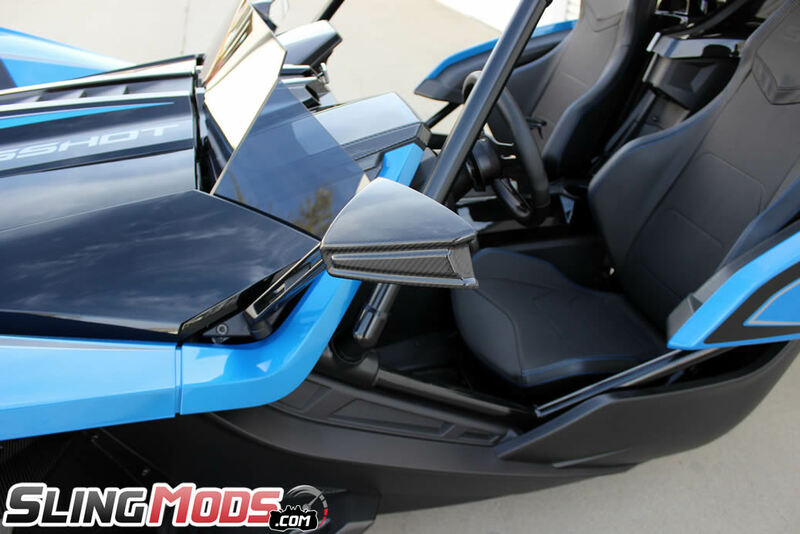 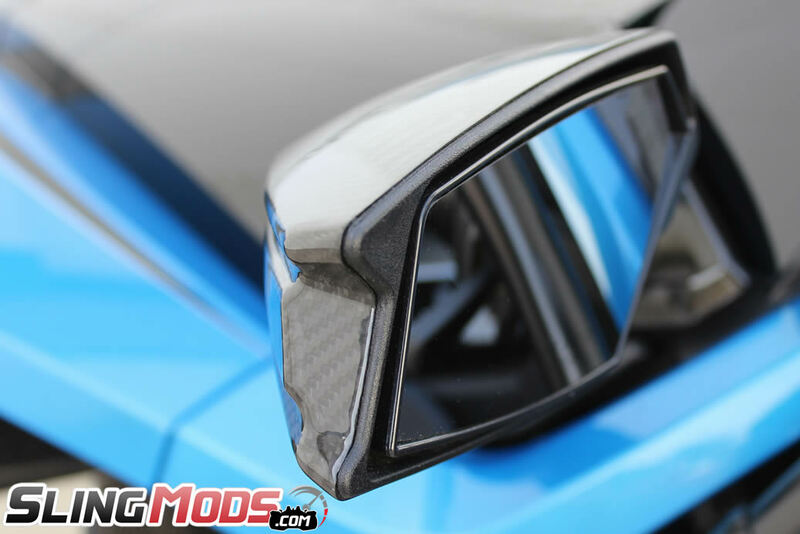 This mod is molded to the shape of the stock Slingshot mirrors and slips over the standard plastic like a second skin. 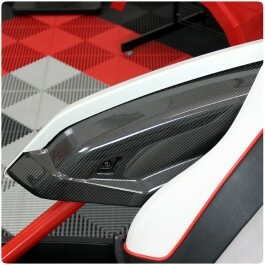 Installation requires only that the mirror casing is cleaned and the adhesive strip is exposed before sliding the carbon fiber cover on. 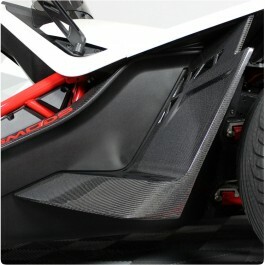 Once installed, the mirrors of the Slingshot stand out with a pristine elegance that can only be achieved with real carbon fiber. 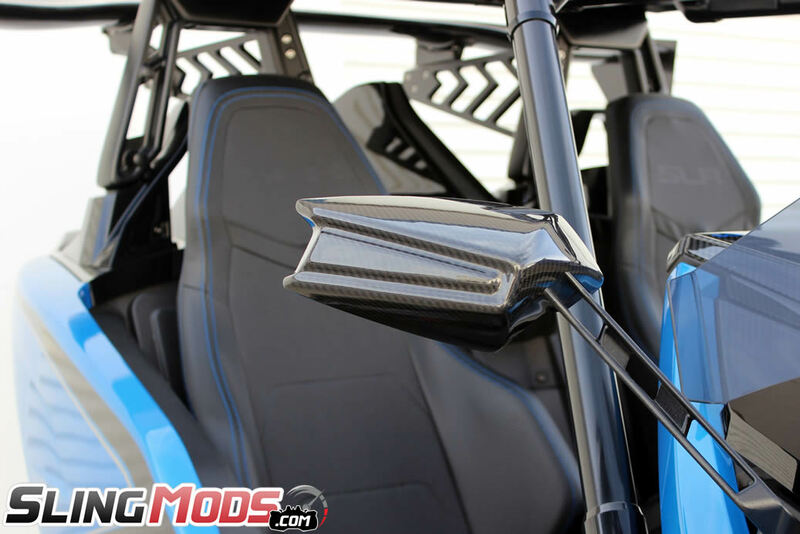 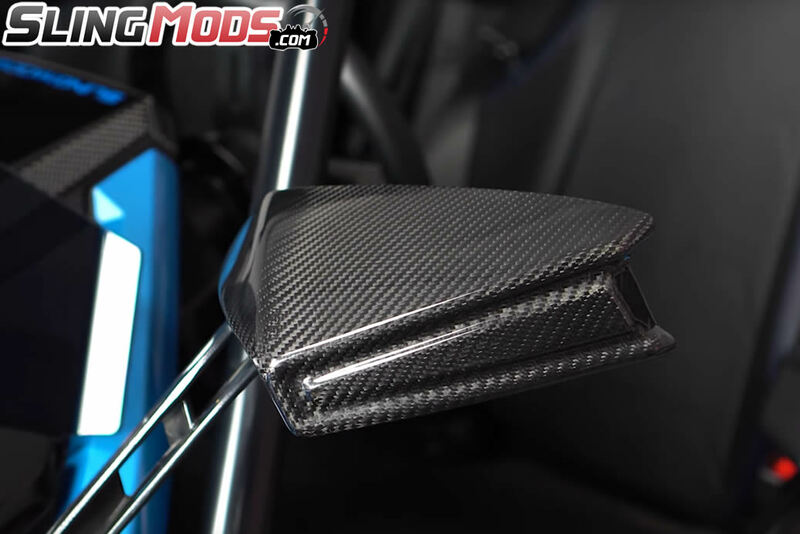 These covers mesh incredibly well with other carbon fiber mods, or can stand alone as an attractive highlight for the otherwise often overlooked mirrors of the Slingshot. 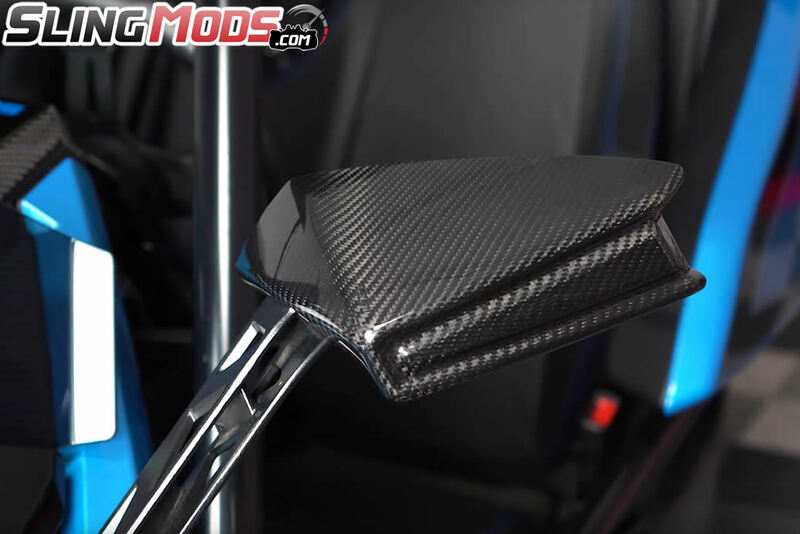 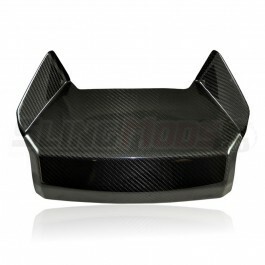 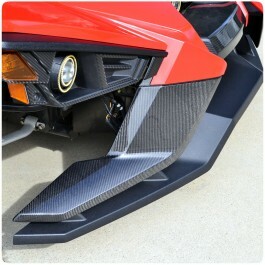 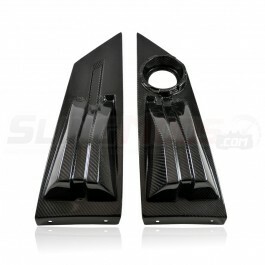 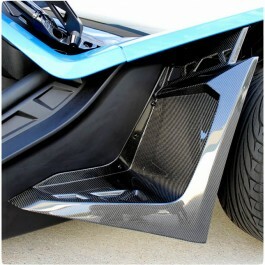 Enhance the race inspired look of your Polaris Slingshot by adding a Carbon Fiber Front Fascia Cover..
Set your Slingshot apart from the rest with Real Carbon Fiber Deck Humps..
Make a bold statement with these real carbon fiber front wing replacement panels for the Polaris Sli..
Make a bold statement with these 100% Carbon Fiber Replacement Interior Arm Rest Panels from SlingMo..
Swap out your boring Polaris Slingshot plastic front fenders with these 100% carbon fiber replacemen..
Swap out your boring 2015-16 Polaris Slingshot plastic front fenders with these 100% carbon fiber re..